"Sampath Speaking" - the thoughts of an Insurer from Thiruvallikkeni: Chennai Metro ... travelling underground ! Life now is on a fast lane at a higher plane…. Literally, as I travel by MRTS (Parakkum rail) and then travel on OMR. Today’s news report in The Hindu on new corridors below the bustling Chennai aka – Chennai Metro rail makes me conjure some thoughts. Chennai has a complex railway network ~ popularly known as Electric trains, it is ‘Electrical multiple units (EMUs)’ operating on alternating current (AC) drawn from over-head cables. As of 2013, the suburban sector has 580 services, including 250 in the Beach–Tambaram section, 240 services in the Central–Tiruvallur section, and 90 in the Central–Gummidipoondi. To recall some more history, the meter gauge suburban service was inaugurated on April 2, 1931. 30th June 2004 was a sad day as the EMU units entered their sheds, not to come out again – replaced by Broad gauge train units. Chennai area was unique to have electrified MG lines. Understand that the early EMU ran on 1.5KV DC and were built by Metreo Camell and were wooden bodied. Then came the gauge conversion project by 1999 there were two MG and one BG line. The Chennai Mass Rapid Transit System aka Parakkum Rail entered the scene much later….. built at a cost of 11,710 million, the line runs from Chennai Beach to Velachery, covering a distance of 19.34 km (12.02 mi) with 17 stations. It promised a lot but found not so encouraging patronage ….. in fact the initial phase of Beach to Chepauk in Nov 1995 found no takers which marginally increased when it got extended to Mylapore….from my home, we have watched literally empty trains carrying just the people required to operate…… things have changed now – as there is bustling traffic in peak hours ….. still many of the stations are poorly lit, not neatly maintained and with difficult access ~ that is the present state of affairs of a system which was once touted to carry six lakhs people everyday. With ever increasing population, the city is bursting at seams – there are crowds everywhere throughout the day…. now the Metro Rail (Chennai Metro Rail) is looked upon as a saviour. Phase I of the project, which consists of two corridors covering a length of 45.1 km is currently under construction. The elevated section of the project is scheduled to be operational by mid 2014 and the entire project is scheduled to be completed by the financial year 2014-2015. About 55% of the corridors in Phase I are underground and the remaining corridors are elevated. While we have experienced travel by EMUs in Tambaram – Beach Sector and MRTS of Beach to Velachery – travelling in UG would be a newer experience, especially for those, who have not travelled by a similar one like Delhi Metro. It is stated that trains of Chennai Metro will be, by and large, similar to those of Delhi Metro, but they will have a few distinct features, according to officials of Chennai Metro Rail Limited (CMRL). They are to have provision for luggage racks in the coaches and the two classes — ordinary and special — are some of the special features. Unlike in the initial phases of similar projects in Delhi, Bangalore or Hyderabad, the first phase of the CMRL project covers all inter-modal points such as Central railway station, Egmore station, Chennai Mofussil Bus Terminus and the airport. That way, the CMRL project is more thoughtful, said a senior official.While trains of Delhi Metro run on broad gauge and standard gauge, those of Chennai Metro will run only on standard gauge. The average speed of Chennai Metro trains will be around 35 kmph and the peak speed will be 80 kmph. The trains will have dynamic route maps that light up as they move. Through this arrangement, passengers can alight from the trains, especially in the underground section. There will also be closed-circuit television cameras on the rakes for surveillance by train operators. Today’s The Hindu has a walk through the new corridors being unearthed below a bustling Chennai and brings exclusive glimpses. At quarter to six in the evening, sunlight has waned, but bright floodlights are switched on. There is a flurry of activity at Nehru Park for the construction of an underground station — where the first tunnel boring machine (TBM) from China was launched in July 2012. 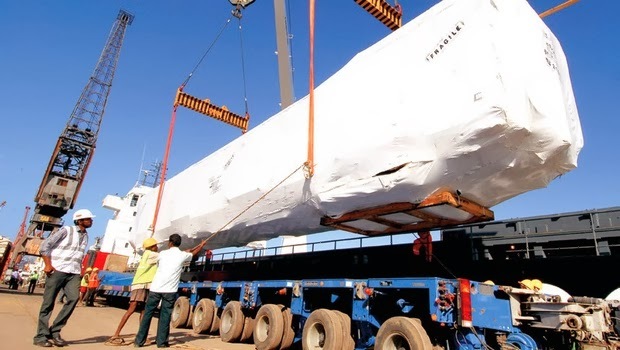 Two TBMs from China were employed at this station to drill from Nehru Park to Egmore and it took nearly 18 months for the machines to tunnel a distance of about 950 metres. Washed by surprise morning showers on Monday, the station area is damp and slippery. In a corner, a caged staircase takes you 50 feet below the ground — where few years hence, passengers will enter and exit the train. The construction of an underground station with two levels, the concourse and platform, is afoot at Nehru Park. Soon after this station becomes operational, the four entry/exit points of this station (near Kilpauk traffic police station, Sangam theatre complex, Sports Development Authority of Tamil Nadu and Arya Vaidya Sala) will serve as subways even for non-Metro users, says an official. 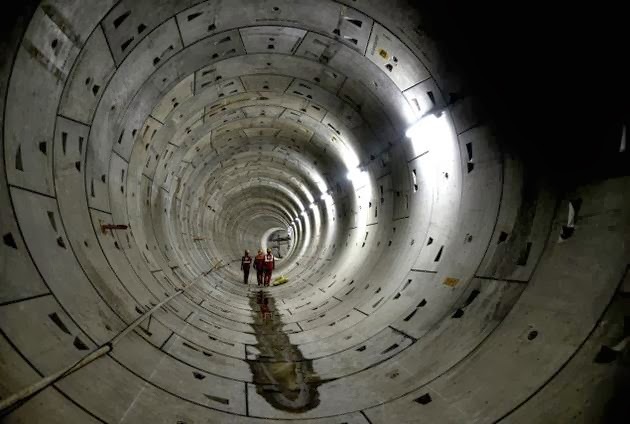 It took one and half years, 150 Indian and 70 Chinese workers, and two TBMs to build these tunnels underneath 100 buildings, to connect Kilpauk with Egmore. Inside the tunnel, it is bound to be warmer as the temperatures range between 24 and 25 degrees Celsius this season. At the end of this tunnel, on reaching Egmore, around 7.30 p.m., a giant 850-tonne TBM is ready to be dismantled as tunnelling work at this site is complete. The other TBM used at this site was dismantled weeks ago, re-assembled and has already begun drilling to create a tunnel from Pachaiyappa’s College to Nehru Park. Calcutta/Kolkata opened India's first metro (16.5km) in 1984, Delhi Metro is far more entertaining for a first-time rider. The entry inside is after a security check-up; one needs to buy token and pass through the machine-gate which allows only one person at a time after reading the token, which gets swallowed at the exit point. The neat AC coaches, no-jerk travel, clear announcements and display of train position – all makes it a very enjoyable ride. For some who are yet to comprehend the concept of connecting stations, Rajiv Chowk – a transfer station between Blue Line on the upper level and the Yellow Line on the lower level – will be a puzzle. It is one of the busiest stations on the network, serving Connaught Place in the heart of Delhi. The station has been named after the late Prime Minister Rajiv Gandhi. Eagerly looking forward to Underground travel in Chennai Metro.